In terms of the number of car accidents and personal injury cases in the U.S., Florida always ranks among the top five every year. But what happens if you’re in a car accident and the other driver does not have insurance? It’s true that by law Florida drivers are supposed to carry personal injury protection (PIP) and personal property insurance (PPI), but not all do. Florida, which is a no-fault state, dictates that drivers must carry a minimum of $10,000 in PIP and a minimum of $10,000 in PPI. Because state car insurance is “no-fault” many people believe that each driver’s insurance provider will pay for their medical bills in the event of an accident. However, many times an insurance provider will not cover the full amount. Most insurance companies will pay 80% of medical bills up to the insured amount. Emergency room visits are expensive, and if an individual requires surgery or even an overnight stay and various tests, medicalbills can easily exceed $10,000. This means that if the other driver is negligent, then he or sheis responsible for paying the remaining 20% of medical bills. If you have been in a car accident and the other person is at fault, then their PIP will pay for your medical bills, but the majority of the money from which your excess medical bills, lost wages, and pain and suffering would not be from their PIP, but rather, from their bodily injury coverage; however, in the State of Florida, most drivers are not required to have this coverage. Additionally, if drivers have not conformed to the law and have not paid for PIP, then you may be out of luck in terms of suing the negligent driver. There is a way for you to protect yourself from drivers who have not complied with Florida’s no-fault law or who have decided not to include bodily injury coverage. It is called uninsured motorist coverage. This type of coverage can be added to your car insurance policy. If you have uninsured motorist coverage and the negligent driver who is responsible does not have the needed insurance, your policy will pay for your medical bills, pain and suffering, and lost wages. The good news is if you have bodily injury coverage, then you also have uninsured motorist coverage, since the state requires that if you subscribe to the former type of coverage, you must also have the latter. If you don’t have uninsured motorist coverage, it may be worth considering. Although it will add to your premium, it will also offer you peace of mind and additional protection if you are in a car accident and injured due to the negligence of another driver. 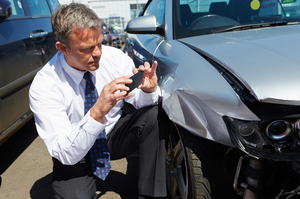 Protect yourself from the various economic burdens that accompany car accidents and associated injuries.